You’ve heard it at one point. And although it’s cliche, it’s a cliche for a reason. Same applies to the hot debate of kevlar vs polypropylene speakers. The details that go into determining what material is right for the speaker isn’t different. But we know a majority of you reading this aren’t as knowledgeable on the details. So here is an objective breakdown of each speaker material. Nature has brought us wonders. If we look at how civilization has evolved, our buildings, paper, and more have been built with wood. And although we don’t use wood for our most glamorous landmarks, its been a stepping stone toward great architecture. But what about man-made materials? How much impact have man-made materials made? Quick examples of man-made materials are guns, video games, and outdoor speakers. Those are examples of man-made materials. You can’t deny raw materials, but you also can’t deny man-made materials. And with kevlar, you’re getting the evolution of raw materials to synthetic (man-made) material. If you were to compare kevlar and steel, which one do you think is stronger? Most would guess steel just for the simple fact its used to build skyscrapers. But if we compare 5 pounds of kevlar to 5 pounds of steel, kevlar wins. 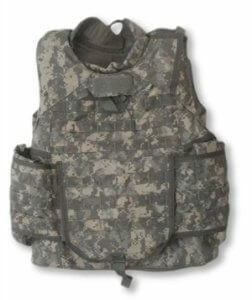 To reinforce our point, kevlar is used to manufacture bulletproof vests just like the picture up top. What else is there to say about its strength? How Does Kevlar Apply To Speakers? When we look at speakers, they have a dome-shaped size output. Because of this, the sound gets distributed differently. And depending on the material covering the dome shape, it could be bad or good. This is where kevlar comes in. When sound comes out of a speaker with kevlar material, the energy distribution is constant. Now let’s compare this to something so you can internalize what we’re saying. Imagine yourself placed in different situations. You have your uncomfortable situations in life, and you have your tense moments. Are you calm in both scenarios? Are you giving out the same energy? Different factors like how you’re feeling in the moment combined with your temperament determine your energy, doesn’t it? One constant for a person is their temperament. If we use temperament as symbolism for kevlar, then you’ll understand this better. Coming back to speakers again, we know they have a range of frequencies. From deep bass to high-pitches, these range of frequencies is comparable to different situations people are placed in. But when the sound comes out during those frequencies, it should sound the same. This is what kevlar material does. It makes sound quality constant. Why Is Kevlar Great For Sound Dispersion? We’re going to make this part as simple as possible because it can get complicated. If you were to test different materials for speaker cones, one paper, and the other kevlar, there would be a difference in sound distribution. And here’s the part where you ask why? And the answer comes down to design, and of course, material. Even though we’re talking about kevlar, this doesn’t mean it’s the superior material. There are tradeoffs to each raw material. And here’s the part consumers don’t understand. Manufacturers, especially if they’re new, can’t go out and spend big bucks on expensive material. This makes them think outside the box. With paper cones, there are multiple benefits. One is, they can bend in any shape making them available to many designs. Another benefit to paper cones is their versatility. If the paper isn’t strong enough, there are materials to make it hold. If the paper is too thick, there are materials to make it thinner. What we’re trying to say is, there are great qualities to each cone material. For Kevlar, obviously, its sound dispersion is great. Let’s look at sound dispersion from another perspective. Imagine looking through a magnifying glass to look at a map. Then imagine looking at the map with just your eyes. Obviously, it looks different, right? For sound waves, the speaker cones act as a different type of lens. Some lens make vision blurry, while others make it clearer. A paper cone would make sound waves diluted because the sound wave would bounce back into the cone. 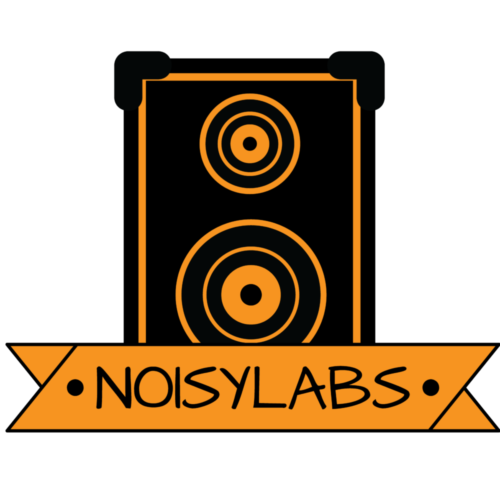 When sound waves go through a kevlar speaker cone, you get sound waves without reverb. In addition to that is when sound waves do come out, they’re spread out over the speaker cone more evenly. This is the appeal of using kevlar. Polypropylene is a mouthful to say. The spelling of the word is why we didn’t want to write this article. But we do it for you guys. Anyways…polypropylene is a type of plastic. Its known as a thermoplastic and it uses a combination of monomers. But for those who don’t know, polypropylene is a synthetic product. It has been around for decades and its application varies. Industries like the automotive and textile industry use polypropylene. But what about speakers you ask? How Does Polypropylene Apply To Speakers? 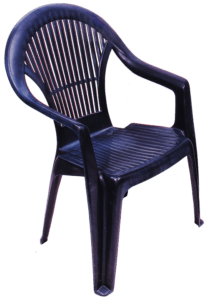 Polypropylene is a plastic with a low density compared to other plastics. This also means it doesn’t weigh as much which is great for manufacturers. A manufacturer doesn’t want their speakers to be heavy. It would just make it harder for the consumer to move. But more importantly, you don’t want sound bouncing back due to the thickness. Another important element is its flexibility. Polypropylene isn’t great when it has to bear weight. If it were produced to use as a foundation for buildings, run, now! But what it is great at is flexibility, literally. Its ability to bend is great for speaker cones because it has to bend to the dome’s shape. Although it has many advantages, let’s focus on 3 more reasons which are closely related to music speakers. The 1st of the 3 is its resistance to absorbing moisture. This is why its used for dishwasher safe plates. If you have outdoor speakers, this gives more insurance against weather besides speaker placement. An ability to resist moisture is critical for outdoor speakers to remain durable. Continuing with the durability theme, polypropylene is also great for chemical resistance. Polypropylene is known to be great against a wide range of bases and acids. But for a speaker’s sound quality to remain great, there has to be something else. Another component which isn’t just for protection. And that is electronic insulation. An insulator is a type of material that doesn’t let electrons flow freely. You don’t want speakers having its electricity flow to other areas. If it did, energy wouldn’t properly transfer to the speaker cones, this, in turn, affects sound quality. Simply put, polypropylene has a high resistance against electricity. Now that we know about its durability and insulation, let’s move on to its effects on sound quality. How Does Polypropylene Affect Sound Quality? Polypropylene is only great for home speaker applications. What makes it great for home speakers is its low distortion and the fact that it doesn’t absorb moisture. But its downfall is its noisiness when flexed. The material itself is rigid. When sound waves come in and go through it, the rigidness dampens sound quality. In other words, its strength against moisture becomes its downfall here because its material is rigid. But plastic cones are lossy and highly damped which is great for high frequencies. So if you’re the karaoke type and plan on throwing parties in the house, find a speaker with a polypropylene diagram. In almost every conclusion, it seems we never pick a side. And that’s because there’s always a tradeoff happening. When there is a clear winner, that’s when we’re confident in our decision. We don’t want to influence you to the wrong choice. To reinforce our point about tradeoffs let’s break it down. Kevlar is more consistent in quality sound and has no definite weaknesses. It’s great for sound distribution, and its material is flexible. As for durability, the winner is polypropylene. Its rigid material makes it great for the outdoors, but not as good as Kevlar in terms of sound quality. On the flip side, Kevlar is actually good for durability, but it doesn’t have definite strengths like polypropylene. This back and forth between strengths and weaknesses can make anyone dizzy. We just hope you prioritize what you want in a speaker and make the right choice.